Last year, onetime Wolf Parade/Sunset Rubdown songwriter Spencer Krug released a balladic piano album called Julia with Blue Jeans On under his Moonface solo moniker. 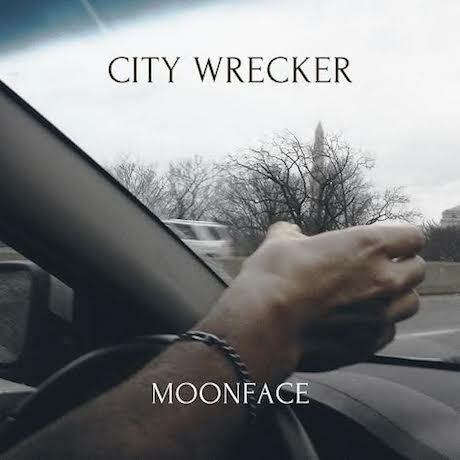 Now, he's shared some more stripped-down piano material with the new EP City Wrecker, which can be streamed on Exclaim.ca ahead of its September 16 release on Paper Bag Records/Jagjaguwar. These five songs were penned while Krug was living in Finland. Although the tracklist is short, the runtime is almost long enough to be considered a full-length, since the solemnly dramatic "Helsinki Winter 2013" is eight and a half minutes long, while the climactic closer "Daughter of a Dove" easily passes the 10-minute mark. While this is similar in tone and style to Julia with Blue Jeans On, some of the arrangements are a little more elaborate, adding in subtle vocal layering and non-intrusive orchestrations. "Daughter of a Dove" in particular features an arpeggiated synth part that marks a change from Julia's minimalism. Take a listen to City Wrecker for yourself below.